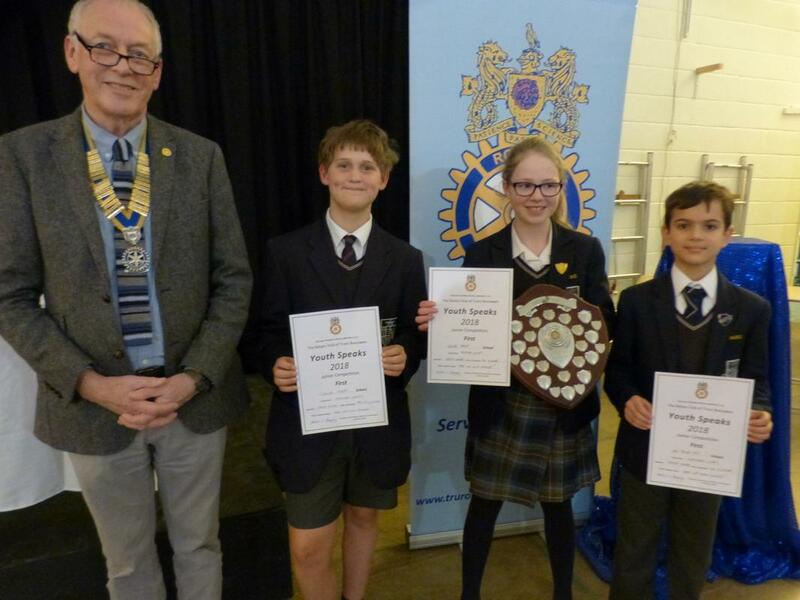 Seven schools took part in the 25th annual local round of Youth Speaks, hosted for the first time by Polwhele House School, last year's winners. Yet again, the standard was very high. 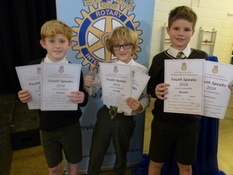 The winners were Truro Prep School, and second place went to the team from Devoran School. "Plastics - friend or foe? A world without plastic - is it possible? Fishing - is it part of our future? Do we rule our smartphones or do they rule us? 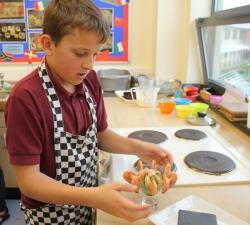 The 26th year of this competition, held for the first time in the new hall at Truro Prep School. Polwhele House School went on to win the western area round in Penzance, and came second overall in the District Final at Saltash on 16 March. Contestants cooked for 2 courses for one person in a limited time. They had to show their costings, meal plan, and menu to the judges. While they were cooking, Lee Trewhela did a live Facebook Stream and chatted to them on Cornwall Live/Facebook. This year’s topic was ‘Reflections’, and entries could be in prose or poetry form. 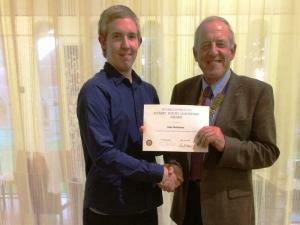 The Rotary Youth Leadership Awards (RYLA) is one of the most successful programmes run by Rotary clubs around the world. The RYLA programme particularly gives young people and young adults the chance to improve their leadership and communication skills. Once again, this year's competition was of a very high standard. The Devoran School hall was full of parents and supporters to hear seven teams take part. The first and second went forward to the Area heat in Penzance on 22 February..
Six contestants took part in this year's school event, judged by local catering professionals Robbie Williams, chef at Penrose Water Gardens and Lily Tearooms,Shortlanesend, and Sanjay Kumar, chef at The County Arms and the School for Cornish Sardines. 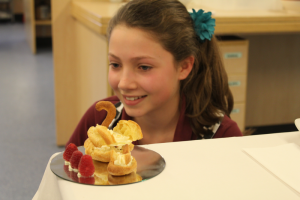 Once again, this year's competition, held at Kea School, was of a very high standard. The school hall was full of parents and supporters. Seven teams took part, with the first and second progressing to the mid-Cornwall Area heat on 10 February. 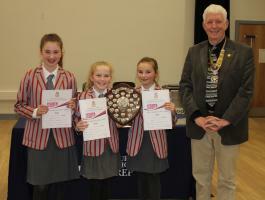 This year two schools competed - girls from Truro High School entered for the first time, with old stagers from Richard Lander School a week later. 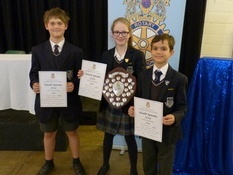 The winners went forward to the District competition in February 2015. 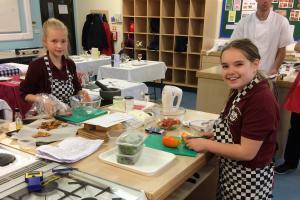 On 15 January 2015 Richard Lander School in Truro hosted the District Final of Young Chef for this Rotary year. 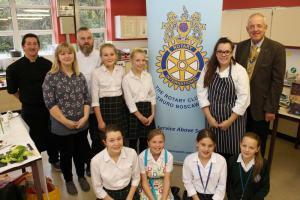 Details were arranged by RC Truro Boscawen member Mollie Foster, supporting District Youth Service chairman, Jim Henderson. 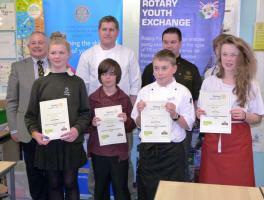 On 29 January Richard Lander School in Truro hosted the District Final of Young Chef for 2013-14. 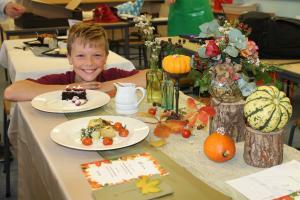 Details were arranged by Boscawen member Mollie Foster, supporting District Youth service chairman, Colin Benney. 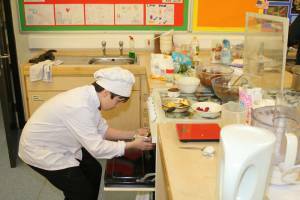 This year's competition, held at Devoran School, was of a very high standard. As usual the school hall was full of parents and supporters. 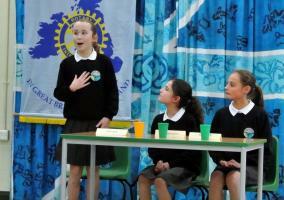 Seven teams took part, with the first and second progressing to the mid-Cornwall Area heat on 13 February. 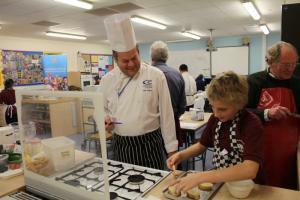 The Club's annual visit to encourage the budding chefs at Richard Lander School took place on 27 November. 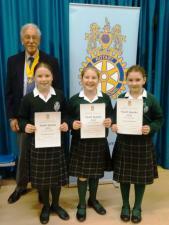 Five students competed, with the winner going forward to the District competition in February 2014. The slideshow tells the story. For the second year, the Club invited entries at all levels to this competition. 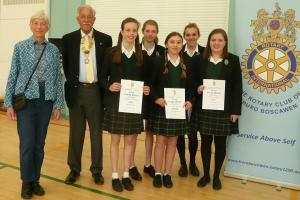 Truro High School for Girls entered in force and with success at local and District levels.